Killing, murder, is not a good thing. It is evil-intentioned. 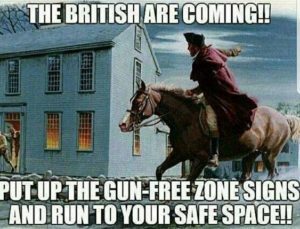 However, every time there is a mass shooting the gun-grabbers take to the media calling for banning the Second Amendment, or in some way infringing on our unalienable and Constitutionally guaranteed right to bear arms. The fact is ... guns do not kill people. People do use guns as an instrument of death. But they also use knives, poison, and with myriad other devices and methods. Though no one calls for banning those. When a drunk or even sober driver takes to the road and fatally injures someone no one blames the car or truck or whatever they were driving. They blame the driver, the person. Why is it different with guns? 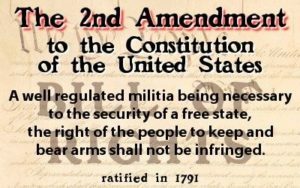 All Second Amendment supporters know why the Second Amendment was written. It wasn't so people could go hunting. It wasn't so people could participate in sporting events. It wasn't so people could only defend their homes. However, these are the main talking points politicians, judges, celebrities and others claim as the reason We the People do not need a 30-round clip, or an "assault rifle," or, or, or. They are either lying when they say these things, or are very ignorant of our history, or have a very specific agenda to take away arms for power and control. 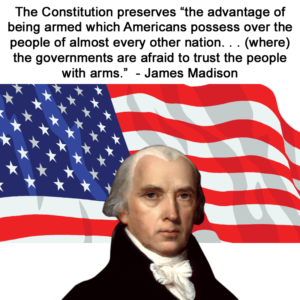 Our Founders were very adamant about our Second Amendment. The primary purpose as stated, is for the "security of a free state." Tench Coxe, another Founder stated it this way, "Whereas civil rulers, not having their duty to the people duly before them, may attempt to tyrannize, and as the military forces which must be occasionally raised to defend our country, might pervert their power to the injury of their fellow citizens, the people are confirmed by the article in their right to keep and bear their private arms." And several other Founders voiced similar thoughts. Yet, those very same people who want to take guns away say that tyranny and the like could never happen, it is an out-dated notion. 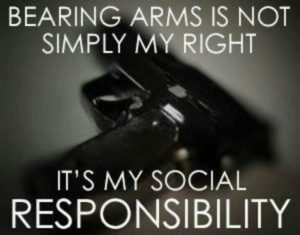 Tyranny will ONLY never happen as long as We the People keep our arms. Taking guns away from law-abiding Citizens does NOT make any city, county or state safer. Just check those areas that have the strictest gun laws and you will generally find higher murder rates than the norm. So, if people kill people, go after those people. Whether they used a gun or a knife or a hammer, go after the person. Do not come after arms of American Citizens who are, by-and-large, peaceful and do follow the law. Closing with the thoughts of Founder St. George Tucker, "Wherever standing armies are kept up, and the right of the people to keep and bear arms is, under any color or pretext whatsoever, prohibited, liberty, if not already annihilated, is on the brink of destruction." Think Adolf Hilter, Mao Tze Tung, Josef Stalin, Pol Pot, Idi Amin, etc.